Elasticsearch is a highly scalable, distributed, open source RESTful search and analytics engine. It's capability to solve a growing number of use-cases like log analytics, real-time application monitoring, and click stream analytics play a strong role in the soaring popularity of Elasticsearch. It is critical for optimal elasticsearch monitoring tools to give you deep visibility into key Elasticsearch performance metrics. Elasticsearch is often deployed as a cluster of nodes. Elasticsearch health monitoring will help you track the status of your instances.With Applications Manager, perform timely polls of your elasticsearch clusters and refresh your screen with the most recent status information. Ensure optimal elasticsearch server monitoring by keeping track of key components such as elasticsearch cluster runtime metrics, individual metrics, real-time threads, and configurations. Keep up-to-date with the internals of your working cluster by tracking Elasticseach monitor cluster health and availability. Elasticsearch monitoring tools help you collect and visualize key metrics from your elasticsearch environment to understand resource utilization. 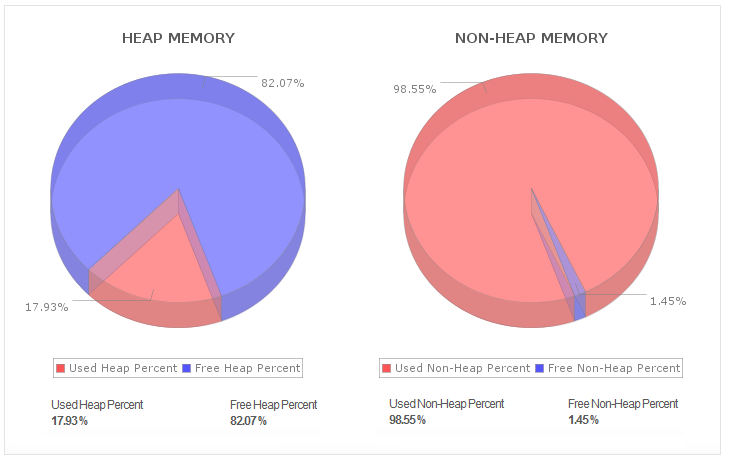 Tracking Elasticsearch monitor cluster memory usage will give you deep insight into how much JVM heap memory is currently in use when compared to committed memory. 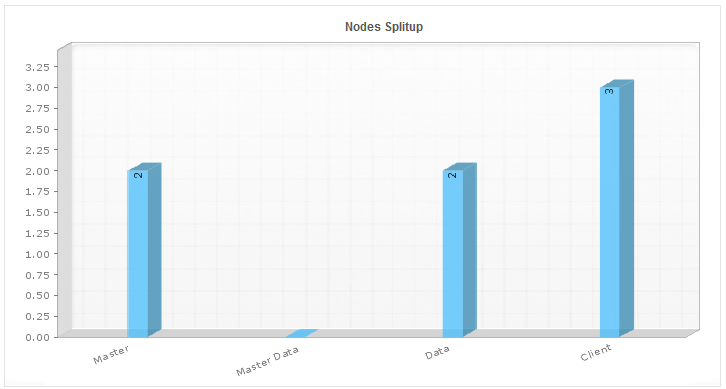 Know when you need to add disk capacity to existing nodes or reshard to add more nodes. Get alerted of changes in the resource consumption of thread pool queues. 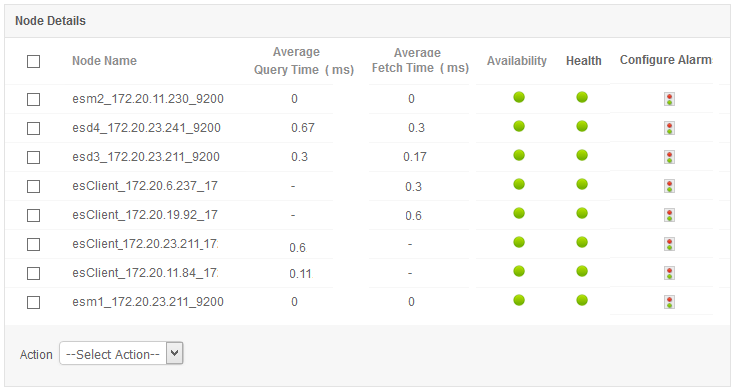 See how Applications Manager can meet your Elasticsearch monitoring requirements. Schedule a personalised demo. Besides detecting individual clusters, to ensure smooth elasticsearch monitoring it is critical to identify problematic nodes. Ease elasticsearch server monitoring by visualizing useful elasticsearch production metrics at the node and cluster levels.Stay on top of your cluster health by monitoring critical metrics such as disk I/O, memory usage metrics; and node health (in real-time) with CPU usage for all the nodes, followed by JVM heap occupancy. Track any unusual changes that might have occurred such as sudden spike in current rate of search, indexing requests, etc and take quick remedial actions before they affect your end user experience. Demystify elasticsearch application monitoring by effectively updating indices with new information whenever the workload is write-heavy. Gain complete control of your indices and mappings. Monitor metrics like average query latency for every node, average segment time in node, file system cache usage, request rates, etc. and take actions if the thresholds are violated. 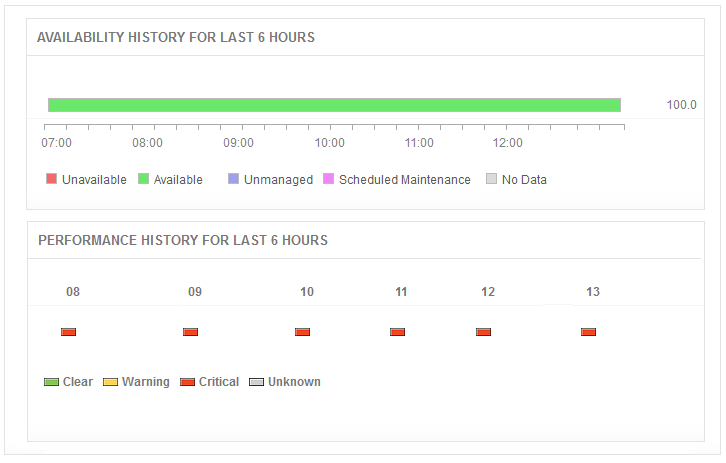 While performing elasticsearch monitoring, it is critical to keep performance issues caused by high network traffic at bay. Elasticsearch nodes use thread pools to manage how threads consume memory and CPU. Important thread pools to monitor include: search, index, merge, and bulk.Thread pool issues can be caused by a large number of pending requests or a single slow node as well as a thread pool rejection. With Applications Manager Elasticsearch application monitoring tool, gain system-wide visibility into resource utilization, application performance, and operational health of your Elasticsearch infrastructure. Take a free trial today.